A Facial Or Filling In Florida? At Five Star Dental Care, we know that we can’t completely fool you. 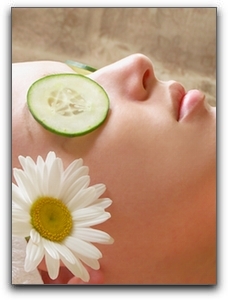 When you receive treatment at our comfortable cosmetic dental practice, you won’t actually believe you are at a plush Brandon FL spa relaxing with cucumbers over your eyes. Just because we can’t recreate an identical Brandon FL spa experience, that doesn’t stop us from trying. We have a full-service dental comfort menu for our Brandon FL cosmetic dentistry patients. Are you in need of tooth restorations, teeth whitening, orthodontic solutions, or just a thorough dental cleaning in Brandon FL? Enjoy a luxurious dental spa experience at Five Star Dental Care without paying extra. Schedule gentle dentistry today by calling 813-653-2273. This entry was posted on Friday, November 18th, 2011 at 10:46 am	and is filed under Cosmetic Dentistry. You can follow any responses to this entry through the RSS 2.0 feed. Both comments and pings are currently closed.